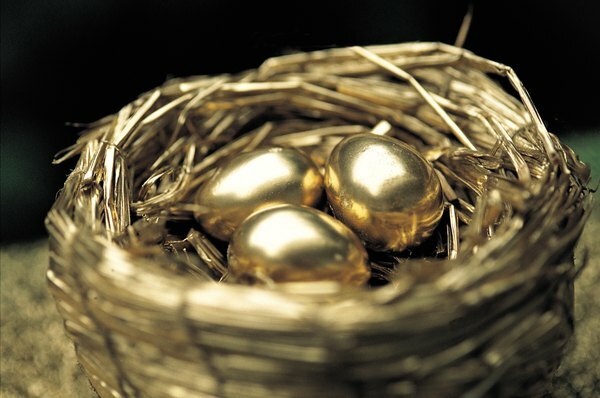 You can use alimony to build your IRA nest egg. 2. Can You Make a Roth IRA Contribution If You Have No Earned Income? 3. Can I Make a Roth IRA Contribution in a Year When I Rolled Over an IRA? Individual retirement accounts let you save money on a tax-deferred basis if you use a traditional IRA or an after-tax basis if you use a Roth IRA. If you're divorced and receive alimony from your ex, you may not have to miss out on the benefits of contributing to an IRA. For the purposes of IRA contributions, taxable alimony payments you receive count as compensation. To qualify, the alimony must be paid under a divorce decree or separation agreement. So, even if you don't work, your alimony received is sufficient to meet the compensation requirement. However, if your alimony plus your other compensation is less than your annual limit, you can't contribute the full amount. In addition, you still must meet the other contribution criteria. Traditional IRAs stop accepting contributions in the year that you turn 70 1/2 years old, even if you have lots of alimony or other compensation income. For example, if you turn 70 1/2 in December 2013, you can't contribute at all during the 2013 tax year. If you're interested in contributing to a Roth IRA, your age is never an issue. Roth IRAs have income limits instead of age limits restricting who can contribute. These limits count all your taxable income, not just your compensation, so if you have non-compensation income, such as dividends or interest, that counts toward the limit, too. For example, in 2012, you can't contribute to a Roth IRA if your modified adjusted gross income exceeds $125,000. But, these limits update annually. Though you're eligible to contribute to a traditional IRA with your alimony, you might not be able to deduct your contribution if you're covered by a retirement plan at work. You don't necessarily have to participate in the plan -- for example, just being eligible for a defined benefit plan counts. In these cases, if your modified adjusted gross income exceeds the limits, you can't contribute. For example, in 2012 none of your traditional IRA contribution is deductible if you're single, covered by a plan and have a modified adjusted gross income exceeding $68,000.